One of the hydrangeas the deer and I like best is the American native Hydrangea arborescens 'Annabelle'. Before the deer appeared in my woods around seven or eight years ago, the wild Hydrangea arborescens were plentiful, especially on the banks along the driveway. These plants had flowers shaped like small domes and were a dull white. Still, I had so many that it was impressive to see them in bloom all at once. Today, I have one plant (wait, looking out my window, I'm not sure it's still there). Most, I'm sorry to say, were whacked down by a man named Marvin. He had removed a tree for me at a fair price, so I hired him to do some clearing. We walked the property, and I asked him to get rid of all the privet and wisteria in a certain area. As we walked down the driveway, I said, "Don't touch this bank. These are all wild hydrangeas." Well, you guessed it. I came back to find Marvin glassy eyed and with alcohol on his breath. All the hydrangeas were mowed down to nubs. The privet and wisteria were still intact. I had a terrible exchange of words with Marvin, and although he had done nothing I'd asked, he demanded the price we'd agreed on. I said I wouldn't pay him until he had done the job. Then he threatened me, and I stormed in the house, made out a check, threw it at him and told him never to come back. The wild hydrangeas had just started making a comeback when the deer came. At first they only snipped off the blooms. Then, they started eating the leaves and stems. I guess the plants couldn't take the double whammy, so I don't have them anymore. Now, back to what I had intended to write about. 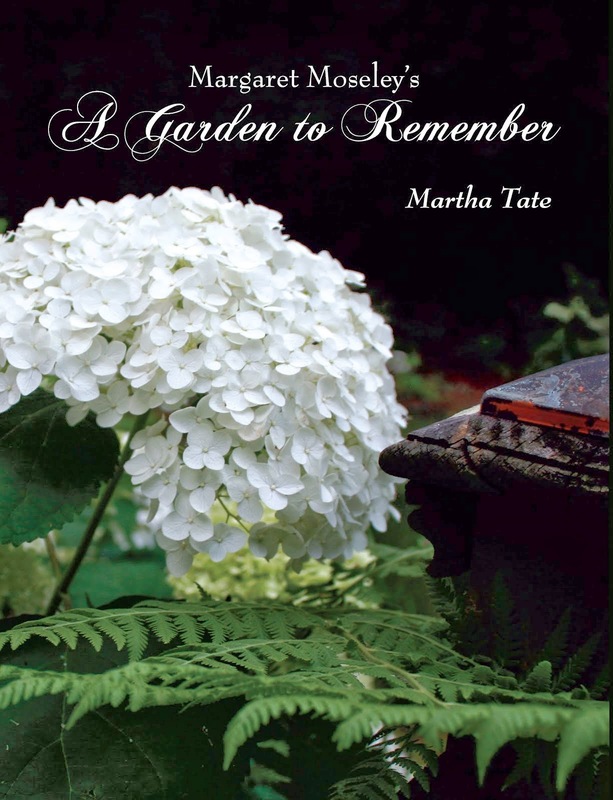 A local plantswoman, Linda Copeland, and Allan Armitage, the perennial plant guru from the University of Georgia, wrote an interesting book called Legends in the Garden, giving stories of some plant cultivars that originated in the U.S. One of the chapters is about the 'Annabelle' hydrangea. Joseph McDaniel was a colleague of woody plant guru Michael Dirr when Dirr was at the University of Illinois. McDaniel first saw the arborescens hydrangea with big balls of white flowers in Urbana in 1960 and traced the plant back to Anna, Illinois. A man named Hubbard Kirkpatrick said that in 1910, his mother, Harriet, was horseback riding in the hills of Union County, Illinois, when she saw a hydrangea with large white ball-shaped flowers. She and her sister brought the plant back to their garden on Chestnut Street. Fifty years later, McDaniel found the original plant still growing in what had been the sisters' garden. The plant had been passed along to other Illinois gardeners, but had never been named. It was McDaniel who registered the name 'Annabelle' and who convinced nurseries to grow and sell the plant. One of my best photographs ever is (unfortunately) in the form of a slide and shows a row of Annabelles with gobs of huge flowers, in Islesboro, Maine. In the background is the sparkling blue Atlantic dotted with sailboats. 'Annabelle' is hardy where the macrophyllas are not, so that is a big plus. The drawback? Deer. I stayed pretty much ahead of them this year by using the fertilizer Milorganite, but they still chomped some of the blooms and foliage. I hope to have a deer fence up by the time the Annabelles are putting out this year. I also want to get 'Incrediball', which is 'Annabelle' on steroids but supposedly with sturdier stems. By the way, even though 'Annabelle' is named for a town, the town was named for the founder's wife Anna. Yet another fact dug up by Linda Copeland and Allan Armitage. Next, that is, after I take a photograph in the spring, I'll pass along the story of how the white azalea 'Mrs. G. G. Gerbing' got its name. I'd always wondered who Mrs. Gerbing was, and now I know.